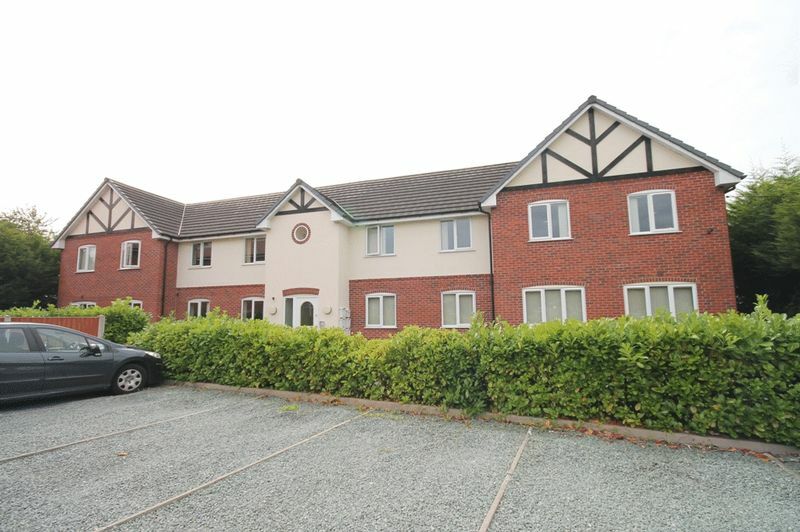 Modern purpose built first floor two bedroom apartment situated in a quiet location on the outskirts of Market Drayton town centre. A communal entrance has intercom access and the accommodation includes a large open plan living room with kitchen, two bedrooms and a bathroom. We understand the property is available from 15th June 2019. With Cloak Cupboard and Cupboard housing water tank. Fitted kitchen comprising wall and base units with drainer sink. Integrated oven and four ring electric hob with extractor hood over, plumbing for washing machine and space for fridge freezer. Two windows to front elevation and window to side. Two panel heaters. Window to front and panel heater. Suite comprising shower bath with curved glass screen, pedestal wash basin and low level WC. Extractor fan and panel heater. The car park is accessed off Alexandra Road and there is one parking space for each apartment. The parking spaces are not specifically allocated. The security deposit will be equivalent to five weeks rent. This property is being managed by Andrews Property Services. 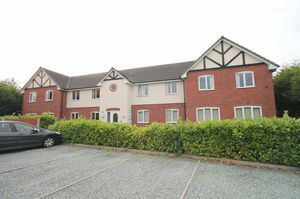 Interested parties should complete the proposed lettings offer form which is available from our Market Drayton office. Before any application is made we will need to see original copy of photographic identification (passport or driving licence) along with proof of residence in the form of a utility bill. Please be advised that no pets are allowed. Please note that room sizes are measured on a wall to wall basis and are approximate.